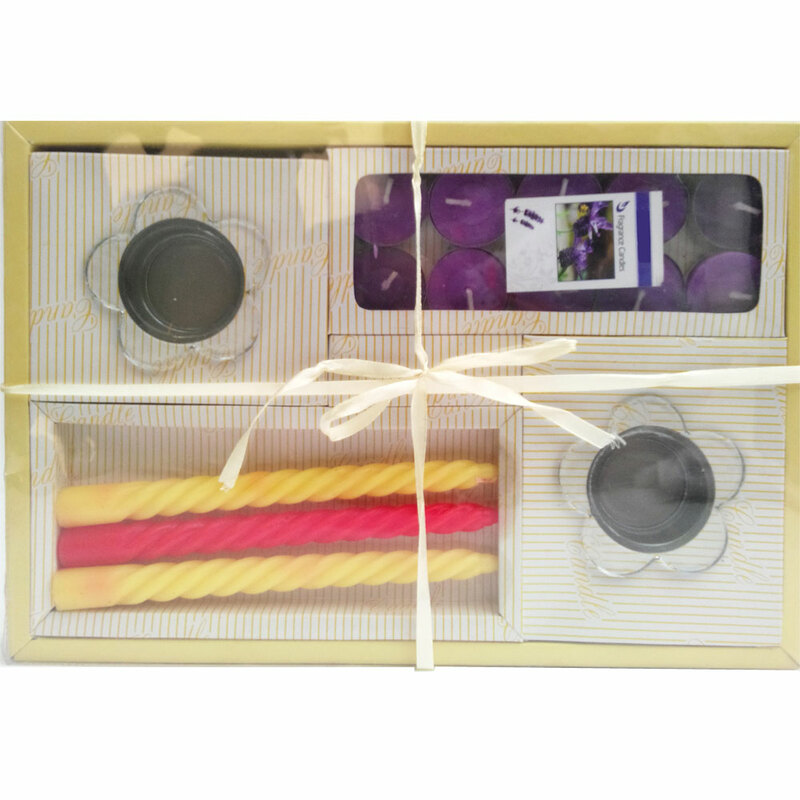 This designer candle gift hamper contains two t-lite candleholder made of glass, which are ideal for holding the t-lite candles included in the hamper as Read More..well. Thus, users of this hamper need not worry about either the candles or the prop for holding them in place. Apart from these t-lite candles and the holders, this hamper also contains wax candlesticks in various colors. Therefore, this hamper can make any household look more colorful while also providing ample illumination, which makes the perfect choice for both gifting, as well as, personal use. Show Less..